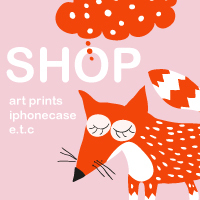 You can find these new cute iphone cases at my society6 shop. This entry was posted in Illustration, shop, work and tagged flowers, iphonecase, rabbit on 16 December, 2016 by Anna. Face doodles with watercolours on a sunday morning. This entry was posted in work on 1 May, 2016 by Anna. This entry was posted in work and tagged drawing, faces on 11 March, 2016 by Anna.